The trek is easy and provides the spectacular views of the Langtang (7245m), Ganesh Himal (7405m), Dorje Lhakpa (6990m) and other small mountains of Langtang Himalayan range. 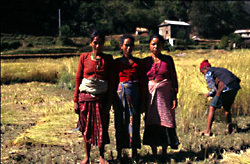 The warm and friendly people of helambu are mostly Buddhists. 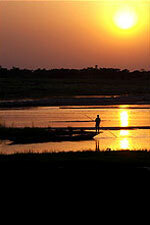 It is an ideal trip for those who have a short time and like to combine both cultural scene. You will enjoy visiting the culturally rich Tamang villages, Buddhist Gompas and the fantastic landscape with rice fields. 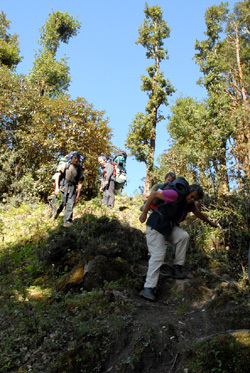 This trek is considered as a non-technical trek. If you are moderately fit and have a sense of adventure you will enjoy this trek. 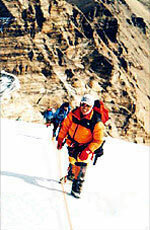 The program is designed to acclimatize you gradually and not to experience high altitude sickness. However you are requested to check your altitude fitness and the itinerary. Day 07: International departure or go for onward program. - Personal expenses such as laundry, telephone calls, alcoholic beverages, bottle drinks, donation, tips etc..